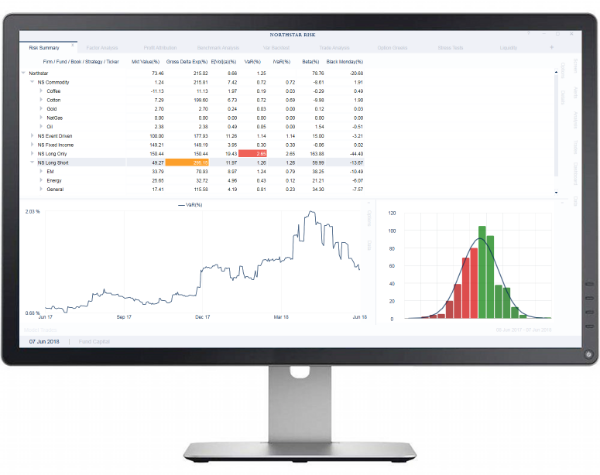 Northstar’s risk management software analyzes market risk historically and in real time. Historical analysis allows hedge fund managers to see how their risk is evolving over time, and to tie risk management to past performance. 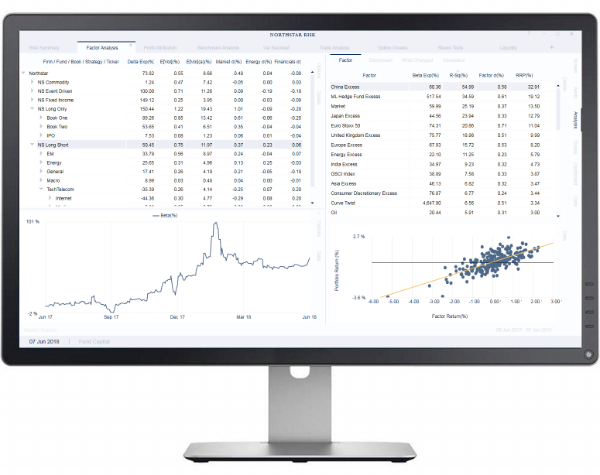 Real-time risk provides you with the information you need to manage your portfolio, when you need it. Northstar’s risk platform is updated in real time for both pricing and trades, allowing you to see changes in risk as they happen. Keep pace with rapidly evolving markets. The core of Northstar’s risk platform is an easy-to-use desktop application. The application allows you to group positions by strategy, country, region, sector, asset class, and many other dimensions including user-defined tags. You can drill down from firm-level statistics all the way to security- and trade-level detail. Security policies allow firms to control what individual users can see and what data they can or cannot export. Portfolio managers can set alerts to notify them of changes to their portfolio, limit violations or changes in the market. These alerts and reports can be automatically e-mailed to portfolio managers even when no users are logged into the system. The Northstar risk service never sleeps. Determine the impact of trades on your portfolio before you trade using our what-if analysis. You can also use our optimization tools to help you hedge your portfolio or determine the most efficient way to alter the risk profile of your portfolio. Read more here. How do you know that the numbers produced by our risk models are accurate? Backtesting is a core feature of our software. Read more here.